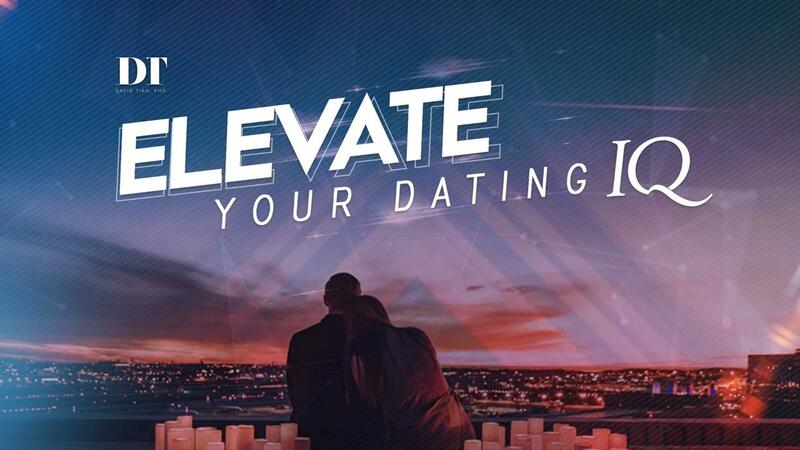 "ELEVATE YOUR DATING IQ" IN SINGAPORE ON 7-9 JUNE 2019! During these three days, you’re going to discover critical keys to unlock your full potential. This will be one of the most transformative events of your life where you will level up your Dating IQ, become more naturally attractive and confident, uncover your true life purpose, access your true self, and connect with your emotional power. Read these important details, then register below today! SPECIAL: Gold and VIP level members will be treated to tasting menu dinners on both nights and a sumptuous brunch on the last day with David Tian. These multi-hour intimate meals with David will give Gold and VIP members the opportunity to deep dive with David into their personal goals, limiting beliefs, or life challenges. You’ll have the opportunity to ask David any burning questions you might have, as well as learn from the problems of other members as David works directly with them and you to provide the most effective solutions. YES, I understand that registration is first-come, first-served, so it’s possible that all seats will be taken if I don’t register today. This registration fee is only refundable if I attend the first full day of the event and request a refund from Aura staff in person at the event. YES, I understand I cannot transfer my ticket to a later event - my registration is ONLY good for the event date listed on this page. I do understand, though, that if I register and end up not being able to attend the live event, I can transfer my ticket to this event to someone else who can attend in my place. YES, I understand I’ll be sent the exact logistics information after I register.